Pistor receiver extension (buffer tube) – perfect for building out an AR-15 pistol lower. 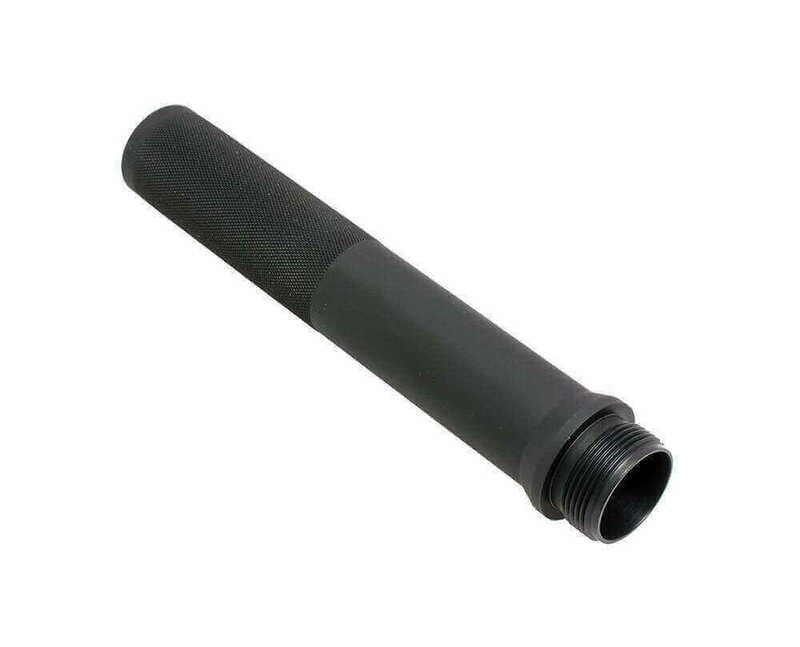 I had a Guntec extended pistol buffer tube that had a collar milled out to support an SB Tactical brace with a Gearhead Works Tailhook Mod 1 at the end. I decided to put a Law Tactical folding mechanism on the lower and that added about an inch to the length of pull. The CMMG tube shortens it back to just about where it was without the Law Tactical folder. The tube seems well made with cross hatches cut into the end to help tighten into the receiver. It loses one star because there is no provision to tighten the tube using a tool of any sort. Also, the parkerized coating gives the tube a grey color rather than the black of the rest of the gun.